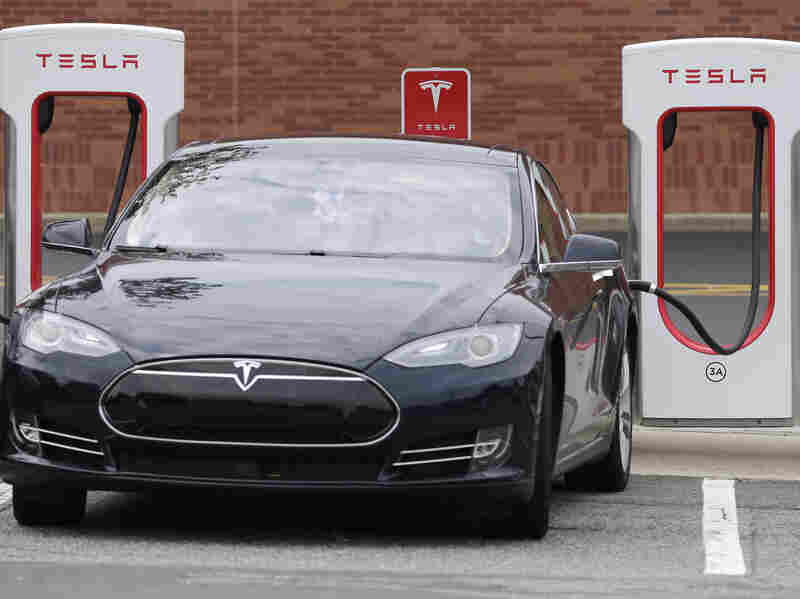 Tesla Lays Off 9 Percent Of Workforce CEO Elon Musk says the cuts will help the electric car company turn a profit for the first time in 15 years. A Tesla car recharges at a shopping center in North Carolina in 2017. Musk conceded that Tesla has not made an annual profit in 15 years. The company posted its largest quarterly loss, of more than $700 million, earlier this year. Shareholders reacted positively to the announcement, and Tesla rose more than 3 percent by the end of Tuesday, with a stock price of $342.62. The stock had foundered over the past year amid setbacks in meeting production targets for the Model 3, Tesla's first affordable electric car with a starting price of $35,000. Musk wrote the layoffs were part of a restructuring to make the company "communicate better, eliminate bureaucracy and move faster." He noted that the cuts will not affect Tesla's ability to reach targets for producing the Model 3. He has promised to make 5,000 Model 3 cars a week by the end of June, according to the Wall Street Journal. In the company letter, Musk said Tesla would end its residential sales agreement with Home Depot and focus on selling solar power in Tesla stores and online. He said most Tesla employees working at Home Depot will be offered a chance to move to Tesla retail locations.